The new Deepglider is similar in design to the existing Seaglider, which is already operated by NMF-MARS and can dive to 1000m. However, the new vehicle is built to withstand the 600 atmospheres of pressure found in the deepest parts of the ocean, and has an endurance of six months or more, depending on payload. 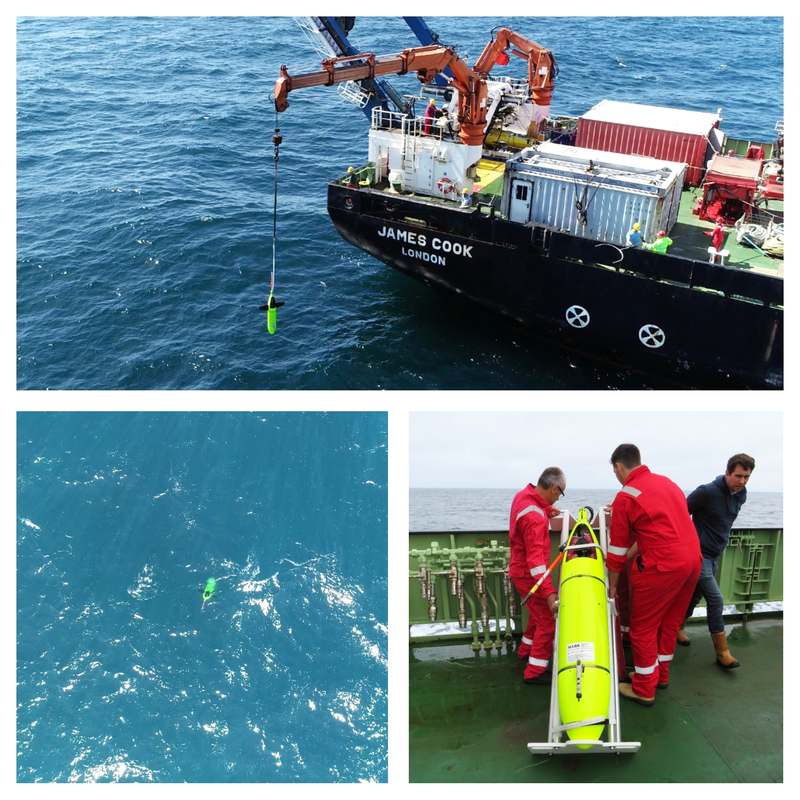 As with other submarine gliders, the Deepglider carries a range of scientific sensors that enable it to measure temperature, salinity, phytoplankton abundance and other parameters. These data can be transferred back to shore via Iridium satellite link when the glider surfaces, and the pilots can then adjust the glider’s flight and sampling regime and make course adjustments. The new Deepglider, called Unit DG042 or 'Darth Glider', was tested during NMF-MARS equipment trials on RRS James Cook in June 2018. The vehicle was launched near the head of Whittard Canyon, at about 200m water depth, before diving to 4300m depth over the abyssal plain. Each deep dive covered over 20m horizontally, over 4000m vertically, and took around 20 hours to complete. The Deepglider also showed it can operate in much shallower waters with little reduction in endurance. As well as the deep dives, it carried out a series of relatively shallow 1000m dives during the trial, and the results suggest it will be an excellent platform for studying ocean processes from the shelf edge down to the deep ocean. The Deepglider was integrated into the NMF-MARS glider command-and-control infrastructure, which is being developed as part of the Oceanids capital programme.